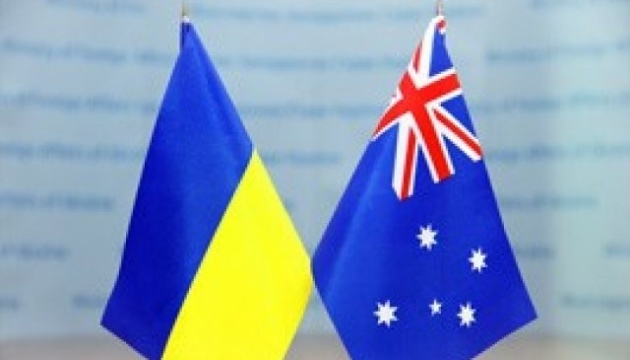 Newly appointed Australian Ambassador to Ukraine Melissa O'Rourke has held several meetings with Ukrainians in Australia before beginning to perform her duties as head of the Australian diplomatic mission in Kyiv, an Ukrinform correspondent reports. "The practice of meetings of newly appointed ambassadors with the ambassadors of their countries of accreditation is not new, but is not mandatory. So Melissa O'Rourke's request to meet with Ukraine's ambassador to Australia and representatives of the Ukrainian community in Australia is evidence of her intention to begin her diplomatic mission as efficiently as possible," said Ukrainian Ambassador Mykola Kulinich, who was the first to brief his Australian counterpart on the situation in the country. According to Kulinich, the Australian colleague is an experienced diplomat, value-oriented person and quite familiar with the Ukrainian-Australian bilateral agenda. As part of preparations for the new appointment, O'Rourke also met with President of the Australian Federation of Ukrainian Organizations (AFUO) Stefan Romaniw to get background information on the Ukrainian community in Australia, its activities and relations with Ukraine. During the meeting, the sides agreed to cooperate in the implementation of bilateral projects launched with AFUO's support in the field of healthcare reform in Ukraine, the implementation of the Patriot Protection program, support for small and medium Australian and Ukrainian business projects on bilateral markets, financing of cultural programs, the implementation of Go Global projects etc. The Australian ambassador expressed her readiness to cooperate with AFUO to strengthen ties between the two countries. O'Rourke is expected to assume her new duties as ambassador to Ukraine in September 2017.